Bell has served 44 years in prison for the deaths of three police officers. A 70-year-old convicted cop killer will remain behind bars for at least a few more days while a state judge considers whether the widow of one of the police officers the prisoner killed has the legal right to challenge a parole board’s decision to free the man. State Supreme Court Justice Richard Koweek on Friday postponed a final decision after an hour-long hearing in Albany on whether Herman Bell should be released as early as Tuesday under a parole board’s decision. Bell, who has served 44 years in prison, had pleaded guilty to the first-degree murder in May 1971 of Officer Joseph Piagentini as he begged for his life in the name of his two daughters. Bell also was convicted of killing Officer Waverly Jones in the same ambush. Bell is serving a concurrent sentence after pleading guilty to voluntary manslaughter in the death of Sgt. John Young in San Francisco three months later. 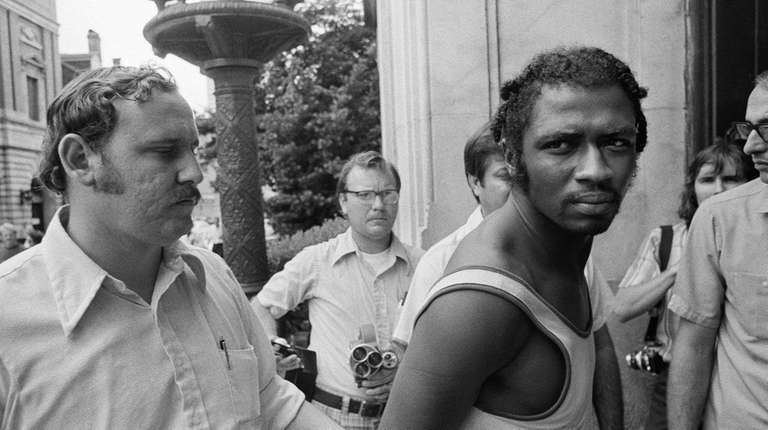 Herman Bell was set to be released from prison as early as April 17. New York City Police Benevolent Association President Patrick J. Lynch called Bell a “murdering mutt” in a news conference. The PBA contends the parole board failed to consider a victim’s impact statement and a statement by a prosecutor. “I have to see justice is done,” said Diane Piagentini of Deer Park, wife of the slain officer. However, state Assistant Attorney General Joshua E. McMahon argued that under the law, the widow of a victim has no “standing” to challenge the parole board’s decision. He argued the point with Piagentini’s lawyer, Mitch Garber, who noted prisoners do have a right to challenge parole board decisions. Garber, however, said that because he contends the parole board failed to follow the law in arriving at its decision, then the widow has a right to challenge the parole decision. Bell was a member of the Black Liberation Army when he and two others lured police to Harlem, where they were met with gunfire. At least 12 of 16 bullets hit Piagentini. The parole board argued that although Bell’s crime was “one of the most supreme assaults on society,” Bell’s age, years in prison, personal growth and remorse warranted his parole.